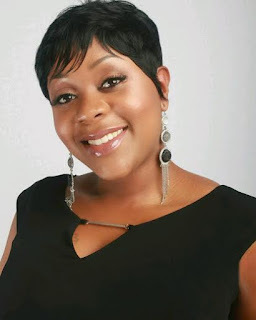 Jamila Vance, The Jaye Spot CEO / Host who’s in charge of business operations. Having worked in many fields from television, healthcare, and insurance, Jamila is able to bring a lot more to The Jaye Spot than a gorgeous smile and magnetic personality! A pro with ambition, Jamila is ready to take on any venture aligned with her dreams! Jamila Vance: Some of the obstacles I faced in the beginning were; coming up with an informative yet engaging format for The Jaye Spot. JV: I was inspired to break into the radio industry because I was on a personal quest to do what I’m passionate about opposed to just working a job that I had No desire to do. Since I love to talk, being in radio comes naturally. JV: My balance is still a work in progress. JV: The person who is influential to me is my mother. Because even though she faced a lot of adversity in her life; she always managed to get back up. I have learned to always go for what I want and Never let anyone or anything stand in the way. BN: What are your "must-haves" to keep your career or business going strong? JV: My business must-haves are faithful listeners and advertisers for The Jaye Spot. JV: My definition of a BOSS is one who Boldly Overcomes Sidetracking Situations and continue to accomplish their goals.